# Note number 5 dosen’t have a Trigram associated with it. Twenty Year Locks happens when either the Mountain/Facing Star matches the current period or Water/Sitting Star matches the current period i.e Current period 8 with 8-? or ?-8 would be a Lock. The 24 mountains of Feng Shui are the four primary and the four secondary directions of the compass each sub-divided into three. Each sector (or segments) is 15 degrees on the compass and is the basis of Flying Star Feng Shui. There 81 possible combinations of each paired numbers contained in a Flying Star Chart for the 2 main Stars in the Central palace these are called the Center Stars, Mountain/Sitting/People and Water/Facing/Money stars. Movement of annual energies according to Xuan Kong Feng Shui school. Bagua literally means eight symbols or eight areas. With Feng Shui, the positive chi energy in ones life, environment and living area can be balanced using the Bagua as a guide. Off-balanced areas of your living/working area can be readjusted with corresponding items and symbols or corresponding colours, leading to a harmonious and balanced chi energy flow. The chi energy is believed to improve life, while one is living in harmony with nature.The Bagua template or map is used to stabilize, protect, adjust or restore balance in ones life by analysing or structuring any given space. The Bagua can sometimes be called pakua. Bazi school of feng shui is a form of feng shui astrology. Bazi means “Eight Characters” in Chinese. These are also called “Four Pillars of Destiny” it gives information about people, not a buildings. Black Hat Feng Shui, was developed in the US over twenty years ago by Grand Master Lin Yun, Black Hat is a hybrid of buddhism, taoism and Feng Shui. Utilising the bagua, yin yang theory, the five elements and intention it focuses on how we can balance and strengthen the natural flow of chi in and around our home to bring about positive change. This is the most popular school of Feng Shui in the US. CHI is the term for the universal energy, or the energy that permeates everything around us. This feng shui term applies to the energy inside your body, as well as to the energy inside and outside of buildings. Chi is energy that flows in every living and in nature. 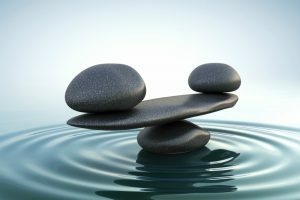 The science of Chi control using feng shui. In Chinese tradition, good flowing Chi makes you healthly, some path flows of Chi may be obstructed which can be cured using Feng Shui. The Chinese New Year usually called the Lunar New Year, is a big celebration in Chinese culture. The celebration lasts for 15 days. Chinese New Year is celebrated on the second New Moon of the year – it comes on a different day each year and is considered to be the beginning of Spring. Each year has a specific Chinese zodiac animal and has a feng shui element associated with it. Classical compass school involves numerical calculations based on the direction in which a building faces and sits, which is determined using a Luo Pan Compass. Analysis and remedies are based on Flying Stars and is based on the eight compass sectors, Trigrams and Luo Shu (magic square). It is one of the main Feng Shui schools of thought developed during the Song dynasty. In Feng Shui: Clutter is low, stagnant, blocked energy that drains good energy and lowers the quality of your life. Compass School Feng Shui, utilizes calculations based on the points of the compass, the I Ching and our date of birth to identify positive and negative areas in our home or immediate environment. Based on these scientific calculations we can define the best times and the best places to attract positive Chi energy in to our home. Contemporary Feng Shui, is one of a number of schools that have developed in the last thirty years which are growing in popularity in the west. These schools have adapted the traditional principles of Feng Shui for western society and focus on how we can balance our home in line with ying yang theory and the five elements. These include Intuitive Feng Shui, Western Feng Shui and Applied Feng Shui. Contemporary western interpretation of Feng Shui. Popular particularly in America, Introduced in the 1970-80s. This is based on the psychology of how to achieve goals through a targeted focus on the different aspects of life as well as classical form school principles. Form School Feng Shui, the original school of Feng Shui developed in China around 3000 – 6000 years ago. Form School studies the shapes in the natural world around our immediate environment, the rivers, the trees, the land, and other buildings and roads to identify whether or not our home attracts a positive flow of Chi energy. Using this as a guide it then looks at how, using symbolism you can alter your environment to strengthen the flow of chi. The yang side of a building. Feng Shui house facing direction is the direction your house faces. The facing direction of the house is determined by the compass direction of your front door. Pronunced fung shwee , fong shway , fung shway. Five Phase Theory (Five Element Theory), have also been linked with astronomical observations of sunspots.The Five Elements or Forces (wu xing) which, according to the Chinese, are metal, earth, fire, water, and wood are first mentioned in Chinese literature in a chapter of the classic Book of History. They play a very important part in Chinese thought: ‘elements’ meaning generally not so much the actual substances as the forces essential to human life. Earth is a buffer, or an equilibrium achieved when the polarities cancel each other. While the goal of Chinese medicine is to balance ying and yang in the body, the goal of feng shui has been described as aligning a city, site, building, or object with ying-yang force fields. Flying Star reads the energy of Heavenly Chi and creates an astrological chart for a building. This chart shows the specific areas that hold potential to create prosperity and health, as well as areas where the potential for draining energy may occur. When these potentials are identified it is possible to support or enhance the auspicious tendencies, and drain or transform those that are detrimental or undesired. Adding a water feature in the sector called Water Star 8, for example, will enhance your home’s ability to support prosperity in your life. Flying Star Feng Shui utilizes ying yang theory and the five elements and looks at how these interact with our personal luo shu numbers to give a reading for our house. From these personal readings a Feng Shui Consultant can tell us which are positive and negative directions in our home and which areas we need to enhance to channel positive energy. Classical feng shui school (also called Xuan Kong) that takes into consideration the time factor. Western astrology focuses on positions of the stars at birth, Chinese astrology analyses the relationship of the five elements during the year, month, day, and hour of birth. These are known as a person’s “Four Pillars.” As in all aspects of Taoism, the goal is to bring the five elements into balance. A person’s helpful elements are those that will bring balance and harmony to their life. A Four Pillars analysis describes what those most helpful elements are. Additional information regarding all other aspects of life is also available in a person’s Four Pillars chart. Fu Xi or Fu Hsi was the first of the mythical three Sovereigns of ancient China, reputed to be the inventor of writing, fishing, and trapping.Fu Xi(Fu Hsi) was born on the lower-middle reaches of the Yellow River in a place called Chengji. Fu Hsi was the originator of the I Ching. Legend has it that Fu Hsi had the arrangement of the trigrams for the I Ching revealed to him in the form of a map on the back of a mythical turtle that emerged from the river Luo, the arrangement precedes the compilation of the I Ching during the Zhou dynasty. The term Geopathic is derived from the Latin term ‘Geo’ meaning earth, and ‘pathic’ meaning stress. Lines of this energy are referred to as Geopathic Stress lines.The Earth has a natural electromagnetic field that is at a frequency of roughly 7.8 Hz, the Schumann Resonances. This field gets distorted as it passes through underground streams, mineral deposits and other obstructions, and the frequency changes to a level that is harmful to most humans. In worst cases it is understood to go as high as 250Hz. This is what we know as Geopathic Stress and this is why it typically occurs along lines that follow the course of underground rivers. He Tu has more to do with space while Luo Shu has more to do with time. House Period is the number given to the time when the house was built or has undergone a major renovation, where the roof has been removed for a lenght of time. I Ching is one of the most ancient texts on Earth. The wisdom of the I Ching can be consulted for practical advice, and is also used as an oracle and tool for divination. It provides the basis for Taoist philosophy and the foundation for Classical Feng Shui. All of the tools and methods used in Classical Feng Shui were developed and derived from study of the I Ching, which teaches us about the energetic dance of Yin and Yang. In a Feng Shui analysis, the I Ching can be used to provide insight into a specific question or for overall understanding. Intuitive/Modern Feng Shui is the Western adaptation of some levels of Traditional Feng Shui. Instead of Chinese culturally-specific symbols, cures more appropriate to Western lifestyle and taste are being used. Luo Pan means Luo – a net that encompasses everything and Pan meaning utensil or plate. This allegorically refers to the union of Heaven and Earth and specifically to the electro magnetic field that holds all matter together. The Luo Pan has been developed for the past 2,000 years and as every traditional Feng Shui master of note has added to it during this time, the Luo pan contains the sum total of Feng Shui knowledge to date. There are 2 main types namely San he (triple combination) which is an elementary level and the advanced level of San Yuan (3 eras). There is also a combined Luo pan called a Zhong He and all of these Luo Pans can be purchased from this site. You can also get training in the application and use of the Luo pan through one of our accredited schools. The Luo (Lo) Shu Square, sometimes called the Magic Square is a Feng Shui method that helps one analyse their environment with regards to the Five Chinese Elements. The Luo Shu grid or the magic square gives a clear picture of what life has in store for us. It also shows the missing elements in our lives. This ancient Chinese grid shows human interaction between the five elements Earth, Water, Fire, Wood and Metal. So no matter which direction you add the numbers – horizontal, vertical or diagonal – they always add up to 15. Number 15 is considered a powerful number because it corresponds to the number of days in each of the 24 cycles of Chinese solar year. In other words, it is the number of days in the cycle of the new moon to the full moon. In the Luo Shu Square, number 5 is in the centre, with the odd and even numbers alternating on its periphery. The four even numbers – 2,4,6,8 – are at the four corners of the square, with the five odd ones – 1,3,5,7,9 – forming a cross in the centre. Magnetic North is different from True North; it shifts and changes because it is connected to the magnetic field of planet earth. There is always a deviation between True North and Magnetic North. This is called magnetic declination and is due to changes in the earths magnetic field lines. Star governing health, relationships and personality. This is also known as a Flying Star chart and is used to determine the relationship between the stars/numbers and how the interact with each other. This Map is used to plot the movement of the Stars and helps determine what remedies are needed. Pakua literally means eight symbols or eight areas. With Feng Shui, the positive chi energy in ones life, environment and living area can be balanced using the Bagua as a guide. Off-balanced areas of your living/working area can be readjusted with corresponding items and symbols or corresponding colours, leading to a harmonious and balanced chi energy flow. The chi energy is believed to improve life, while one is living in harmony with nature.The Bagua template or map is used to stabilize, protect, adjust or restore balance in ones life by analysing or structuring any given space. The pakua is more commonly known as the Bagua. Peach Blossom is a Feng shui cure used to attract love. Tells us what Star/Number is residing in the central palace, each Star/Number is resident in the central palace for a 20 year period it is then replaced with the next Star/Number. Between 2004 – 2023 Star/Number 8 resides in the central palace, this in turn demotes the other stars as follows: 8 (Timely) 9 (Active, Strong) 1 (Secondary Active, Strong) 2 (Dead Weak) 3 (Dead Weak) 4 (Dead Weak) 5 (Dead Weak) 6 (Dead Weak) 7 (Retired) This determines whether a star/number is Auspicious or Inauspicious. current time period (2004-2024) in feng shui. Qi(pronounced “chee” in English) is a movable positive or negative life force which plays an essential role in feng shui. In feng shui as in Chinese martial arts, it refers to ‘energy’, in the sense of ‘life force’. A traditional explanation of qi as it relates to feng shui would include the orientation of a structure, its age, and its interaction with the surrounding environment including the local microclimates. Secondary Directions are Southwest, Northeast, Southeast and Northwest. These four directions signify the basic family unit, the father, the mother, the son and the daughter, so depending on your place in the family, each of these four directions are deemed to be “good ” for you. For instance, the SW direction and location of any abode is always beneficial for the mother and the NW for the father. This is because NW is the father direction, SW the mother direction, NE the son direction and SE the daughter direction. 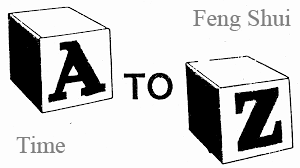 Note also that the sub-directions of these four directions are always YANG directions. The word Sha means “evil”—as in misery, destruction, and ruin. In myths and legends Sha refers to devilish, demonic spirit entities. Sha Qi moves rapidly along straight long lines and in pointed and angular forms. When below the surface of the earth it sometimes is called “noxious rays.” When above ground it is often called “poison arrows.” Poison Arrows is Sha Qi that attacks in straight lines. Long straight or sharp structures that point to the front of a building can produce poison arrows. Especially noxious is two highways that form a T-junction directly in front of the main entrance door. In this case it may be possible to block this negative energy with a low fence, or with a hedge with a gate. Poison arrows can also be inside a house. Life enhancing energy. Inherent in it are qualities and conditions of well-being, and prosperity. These in turn can bring forth feelings of contentment, happiness, and optimism. This is the upward and forward moving qi in bright, positive and refreshing locations often found in nature. Feng Shui house sitting direction is the direction of the back of your house. The sitting direction of the house is determined by the compass direction of your back door. The Schumann resonances (SR) are a set of spectrum peaks in the extremely low frequency (ELF) portion of the Earth’s electromagnetic field spectrum. Schumann resonances are global electromagnetic resonances, In 1952, a German physicist W.O. Schumann identified 7.83Hz as a frequency of the earth’s magnetic field. 7.83Hz frequency falls within the range of natural human alpha brainwaves. Taiji is the Yin and Yang symbol in Chinese cosmological term for the “Supreme Ultimate” state of undifferentiated absolute and infinite potential, the oneness before duality, from which Yin and Yang originate. Wang Shan Wang Shui in Chinese literally means good for mountain and good for water. In Xuan Kong Feng Shui what is good for mountain is also good for people and what is good for water is also good for money. So a Wang Shan Wang Shui building is good for people and good for money. Star governing wealth and prosperity. Five phases of Qi, the five elements of Fire, Earth, Metal, Water and Wood. A period of time. The Lower Yuan is period of 60 years from 1984 – 2044. Location of the ruling star (Ling Xing) on the Earth chart which changes every 20 years. This is where a mountain should be. Feng Shui is the ancient Chinese art of placement, used to facilitate the flow of Ch’i in the home, garden, office, etc. Feng Shui is working with Element , directions and time to enhance your life by bringing it into harmony and balance with its surroundings, and does this through the principles of Feng Shui. Flying Star charts are used to analyses and take remedial measures to enhance the effect of good stars and control the problems caused by bad stars, using the elements productive, reductive and destructive cycles. When we create a balanced and healthy environment using Feng Shui, we open the floodgates to happiness, success and abundance. Feng shui is a dynamic living energy which shifts and changes as Time passes. Feng Shui has been used in architecture for thousands of years in China, but is increasingly popular in the west.